BiblioPlan, LLC. 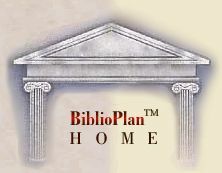 is pleased to announced the release of BiblioPlanTM Relocation Software which organizes the process of inventory and space planning for Librarians, Archivists, Records Managers and Museum Curators in a variety of type/size institutions. The package is user friendly through detailed navigation screens that prompt the operator through a variety of fields that allow for every institution's particular needs and classification systems. BiblioPlanTM Relocation Software is also well suited to the technical requirements of Collection Reclassification , and is unique to the Library Support Services Industry. BiblioPlanTM Relocation Software has been designed to accommodate virtually all library, archives and museum collection formats. Inventory and Space Planning Templates for bound and unbound journals, periodicals, monographs, refe rence, abstracts and indices, government documents, oversize, broadsides, maps, artwork, photos and photo negatives, glass plate negatives, audiovisual, microfilm/microfiche as well as museum artifacts, artwork and special collections are all included wi thin the package. These templates also accommodate various storage schemes: shelving, cabinets, cartons/containers. The key feature of the program is it's built-in flexibility. Whether collections are classified in LC, DDC, NLM, SuDocs, Alpha, Accession, local or no present system, BiblioplanTM has the ability to assign a sequence order and sort protocol. Informa tion gathered for each collection component can be as detailed or as general as required by the user- bibliographic data from existing sources complement the database you created for the specific tasks required by your project. BiblioPlanTM quantifies exact volume records for single or multiple locations while creating benchmarks for materials that require integration, segregation, relocation or reshelving. BiblioPlanTM can import chosen fields from MARC Records. This makes it especially ef ficient in planning and executing complex reclassification, integration, segregation, and space planning tasks. BiblioPlanTM takes into account any library's data on periodic growth by acquisition, yearly bindery cycles, duplicate volumes or inactive titles and merges the information to create exact fill ratio formulas and shelving layouts that allow for maximum growth and efficiency for however many years are required and space allows. The special needs of oversize materials that exceed the capacity of standard shelving or cabinets is also included. In addition to standard book collections, the field flexibility is expandable to include the contents of microform cabinets or any collection housed in cartons, whether in standard archive containers or other containers of any size, and gives exact counts either item by item or title by title. The unlimited field and sort flexibility allows for computerized integration or segregation of any number of collection components from any number of multiple locations to be placed into one new shelf order and calculates variable shelving schemes and fill rates based on anticipated acquisition patterns, patron usage or stack maintenance requirements. "What if" scenarios for either existing or new space can be done with a simple click of the mouse. Precise, computer generated reports give the starting points for any given collection by range, face, shelf and number of inches from the left to the half inch and has the additional value of on-line, long term usage by staff members as an in house locator system through multiple field searches. The design is also expandable for use as a local operating system that can be networked with OPAC and internal library departments for bibliographic records, retrievals, reaccessions, transaction hist ories or communication. BiblioPlanTM has been under development for the past five years by Brian MacLachlan and Tamas Lassu. BiblioTech, Inc. has relocated libraries nationwide and the BiblioPlanTM program evolved from this experience. This user friendly package has been field tested and proven at several locations and is now available to institutions for in-house use. Dealing with the massive task of inventory and space planning for library relocation or reconfiguration can be a nightmare. BiblioPlanTM Relocation Software is the librarian's dream.